The LINAPACK LAF-50 auger filler is an automatic filling machine for dosing free flowing and non free flowing powders and granular products quickly and accurately. It can be used either individually or mounted or over automatic packaging machinery. 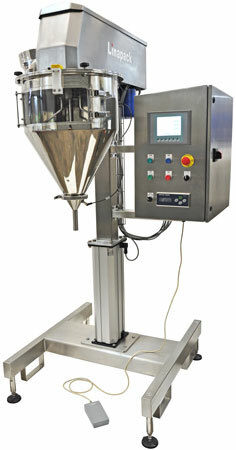 The machine has the ability to fill by volume, weight or combination of both. When filling using the scale, the machine switches to low speed at a preset value for better accuracy.